Skyler is a personal trainer and nutrition coach that has been working in this industry for 18 years. For the last 12 he’s been helping build a personal training studio business in Austin Texas and is now in the process of opening his own. 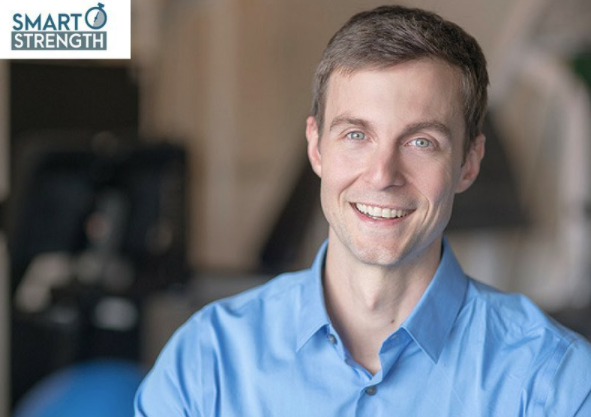 With a Master’s degree in Exercise Science Skyler combines this knowledge with his experience to deliver the most efficient long-lasting results as possible to clients. Note From Matt: This interview was recorded from a phone call and then transcribed by me. Some parts have been edited slightly for an easier read. Matt: How did you first get involved with fitness and how did that interest eventually lead you to choosing a career in this industry? Skyler: When I was 15 I was interested in basketball and one of the Varsity coaches made an offhand comment that if I put on some muscle I might be able to play for Varsity as a sophomore. That was very motivating for me. I grew up in Phoenix and got hooked while watching the Charles Barkley era teams. Still waiting on that championship (laughing). So, as that was happening I would go to the local gym to play hoops. At this gym I developed a relationship with the man who everyone knew as Coach. He had been an assistant coach for Bear Bryant and then went to Mexico City and won three straight National Championships. These Mexican boys were all kicking the crap out of white boys in high school football. That school eventually named the field after him, so he had quite a reputation. At that point in time he was semi-retired with a gym in Phoenix and started training me for free. He just kept saying to me in his super deep and rough voice, “You know, maybe someday we will make you a trainer.” After working with him for a while I got my certification at the age of 17. Afterwards he told me that he never thought I would do it so it was this weird motivational thing that he tricked me into (laughing). I’ve been doing this as a career ever since. I moved to Austin at the age of 21 because I had the opportunity to help grow a gym and I’ve been here for the last twelve years. Matt: So you started at a very young age as a trainer. Looking back, what do you wish you knew then that you know now? What would have helped you be more effective as a personal trainer? Skyler: Looking back I think it would have been helpful for me to know that a little more effort goes a long way. I don’t think I was super disciplined when I was a young personal trainer. I had a template I would work from and people who challenged me, but I was certainly doing just enough. I had some good lessons I learned that helped push me to learn more. After I stopped playing basketball in high school I was able to gain 15 pounds of muscle pretty easily now that I wasn’t overtraining and started to properly nourish myself. Even at 18 you can overtrain (laughing). So I started to get really interested as to why that happened now and why it hadn’t happened before. It didn’t take long to figure out why, but it set me on a good path for personal education. Throughout the process the idea that a little more effort will yield a much better return was constantly reinforced. Whether that’s with resistance training or talking with clients. Obviously diminishing returns exist in everything, but I found that that extra effort in the areas that mattered really helped me. Matt: What other challenges did you have in those early days? Specifically with building relationships with clients and building a business? Skyler: You have to believe you’re worth what you’re actually asking for. I have a blue collar background and I was asking people for the equivalent of (at the time) $70 an hour. If you do the quick math you figure out that you’re earning $140,000 a year if you could do 40 sessions a week. That’s a LOT of money for a kid who’s Mom was a secretary and who’s Dad was a mechanic. So, that was hard for me to wrap my head around. You need to be confident that your service is worth that much for someone and then back it up. Not just because the market dictates it, but because you are really delivering more than that value during your time together. Matt: So how did you get started with the gym in Texas that you moved out to? Skyler: The managing partner of Efficient Exercise in Texas came out for an internship when I was 17 or 18 at the gym I was at. A few years later I was still in college and sent a message to him asking how he was doing. He told me he was starting a gym and asked if I’d ever consider moving out and helping grow it. I went over to visit Austin in 2003 and moved there a year later. At the time, when I moved out, Efficient Exercise had just opened a second location and only had a few trainers. Now there are three facilities in Austin with a lot of trainers, 1.5 facilities in San Antonio, a few small satellite spaces for the proprietary tech developed in-house in Chicago. Matt: So you’ve seen this personal training studio grow from one location over the years to where it is now. What helped the team and company build momentum in the beginning? Skyler: What helped it gain momentum really understanding the demographic we were after. Austin is already an active town. There’s a huge cycling and running culture here. A giant river runs right through town. There’s just lots of reason to get outside. What we were selling was a time efficient workout that helped you get better at all the things you were already doing. That’s an idea that I like to get across to people when they come in our doors. I don’t want them to get good at the gym. If you want to be a powerlifter or a weightlifter don’t come to me. That’s not what I do. I certainly had my fat powerlifter phase in the past, like any other trainer, where I would lift up heavy stuff over and over. Luckily I quickly realized caring 50 extra pounds of fat and muscle wasn’t conducive to my joint health and didn’t feel very good (laughing). So I don’t sell that to people. I want people to get strong, but it’s not about making them go to the gym. It’s more about helping them understand how little time it takes to make what you already do more fun. The stuff that you would rather be doing than hanging out with me, you know? As charming as I am I think our clients would rather be out on the trails. One of the motivators for me to get a Masters degree in Exercise Science was to help with the efficiency and safety of our training. There’s a very low barrier to becoming a personal trainer. We want to be able to tell our clients that we have a system in place, we aren’t going to hurt you, and in doing that you’re going to develop a great relationship with someone that can guide you through your fitness journey. So, that was something that focusing on in the very beginning really helped Efficient Exercise grow through word of mouth. Matt: Personal trainer education is something that is really important to me and something that I think helps gyms and studios from their competition. Can you talk about what your team did to maintain and improve the level of training across studios as the business scaled? Skyler: Yeah, that’s been tricky. We’ve definitely made an effort to have a community with our trainers where they can all teach each other. Part of the reason that I went and got a Master’s degree was because I wanted to be the authority in our company to explain why we do one thing versus another for training. That wasn’t a requirement, just something I wanted to take on myself to have that opportunity. I wanted to have that level of expertise and be able to speak with deep knowledge in my area just like the clients of ours (doctors, lawyers, or professionals in other spaces) could do with their crafts. Within the business it was important to me to pass down this education and ideas on how to approach training with their clients. An evidenced-based approach so that when we saw, tested, and introduced new ideas to our clients we could explain why. We have also encouraged our trainers to explore and get certifications in the areas that interest them so they can continue to stand out. The fact of the matter is that people are looking for experience even if they don’t understand the letters after your name. You can get a bit too alphabet soupy sometimes if you list too many though (laughing). I’m not picking on this certification, but no consumers are going to know what Animal Flow is. As a company we expect some sort of certification along with the ability and interest to continue to learn. That’s what has allowed us to grow and maintain a high level of training. Matt: Who was the target clientele and what was the onboarding process like at Efficient Exercise? Skyler: Busy professionals who value their time. Individuals who may have been athletes at one time and are probably weekend warriors now. Our clientele have responsibilities (jobs or families) or interests outside the gym that take up their time. The general onboarding process is pretty straightforward. A potential client comes in and I have a slide deck that I walk them through to explain why we do what we do and the benefits it will give them based on the time investment. When they come in for the first workout I use the ARX (adaptive resistance machine) tool to do a static strength test. Leg Press, chest press, and a row. I’ll have them push as hard as they can for 15 seconds. It’s about as close to a perfect strength test as you can do. It spits out all the data which becomes our strength assessment. To add to that we do a 3 move movement assessment based on the FMS. We record all this information, along with bodymetrics, so that we have baselines to compare to in the future. Once we have this information we have a general workout program for them to follow and be coached through depending on their needs. We want to see how their body handles certain movements with weight and then progress them as their movement improves. We want them to learn the method. It takes a lot of work to get over the movement habits we’ve built up over time. That is uncomfortable and it’s hard. It takes a lot of micromanaging in the beginning and then we, their coaches, will back off over time as they get more competent and confident with their movement. Matt: So you’re in the process of opening your own facility after working with Efficient Exercise for 12 years. I’d love to hear more about it. Skyler: Yeah, so this venture that my wife and I working on is called Smart Strength. Going back to that point where we’re professionals in the space and not just hobbyists. The sub-title is Intelligent Personal Training. That speaks to the fact that I’m going to treat my employees really, really well, but I’m also going to demand a lot from them. Everyone’s going to have an undergraduate degree in health or exercise science. We will definitely have people with a psychology and behavior science background because we, as experienced trainers, know how important this is. It’s going to be 1on1 private training in a fairly affluent area of Austin, Texas. We’re going to get them strong and work on encouraging our clients to prioritize long-term healthy behaviours. We’re going to be like an old doctor’s office where, in our local area, we’re really good at what we do. If that limits my income it’s fine, but it also allows our team to ensure that we are delivering the best possible product. This is how all my mentors handle their business. One of them had a 6-month waiting list to get started training with him, for example. He has people who have been with him for 10-15 years and that’s the type of business we want to have as well. Matt: What are you excited about when you think about where the fitness industry is headed over the next few years? Skyler: Well, the internet was really exciting for us in the fitness industry when it first started to get popular. There was so much information out there. The issue was that new information and fitness practices were drowned out by the noise old school fitness salesmen were making. The bodybuilding subculture of fitness was very loud online and it simply doesn’t resonate with everyone. The important thing to keep in mind is there are lessons to be learned from each style and also inefficiencies that another system or style can improve upon. So, that’s what I do and how I look at all of this. Our client’s aren’t necessarily interested in taking up as much space as possible. My goal is to help them get stronger in as efficient a way as possible after they first walk in the door and we’ve done that (objectively measured of course). But that doesn’t fix their junky movement patterns. It’s easy for personal trainers to fall into the trap of becoming a backdoor PT. No, that’s not what we can do as personal trainers. You can’t say why a movement is bad because that’s diagnosis and PT. You can say that if a movement doesn’t hurt and the client’s not doing it well then we can improve upon it. That’s within the legal realm of what we can do. So, I think it’s important to address the idea that people are going to move less and less over time as a function of the careers and activities we take on. If you’re going to be a personal trainer with longevity in mind you have to factor this in and offer a more comprehensive service. It can’t be accomplished by a two day movement certification, it probably needs something more. Our clients want to move better, move without pain, and want to be healthy. I’m looking forward to seeing how the industry meets this needs and adapts over the next few years.